This is a free, online textbook offered by Saylor Foundation. 'The two key themes to Stand up, Speak - The Practice and Ethics of Public Speaking make it a welcomed addition to the choices you have for a public speaking textbook. In a world that is bombarded by information, the skills set of public speaking is more important today than ever. According to an address given by Tony Karrer at the TechKnowledge 2009, the New York Times has more information in one week than individuals in the 1800s would encounter in a lifetime. Currently, the amount of information available to people doubles every 18 months and is expected to double weekly by 2015. In a world filled with so much information, knowing how to effectively organize and present one’s ideas through oral communication is paramount. From audience analysis to giving a presentation, Stand up, Speak out: The Practice and Ethics of Public Speaking will guide students through the speech making process. The authors focus on the process of speech making because they have created this book to be a user-friendly guide to creating, researching, and presenting public speeches. 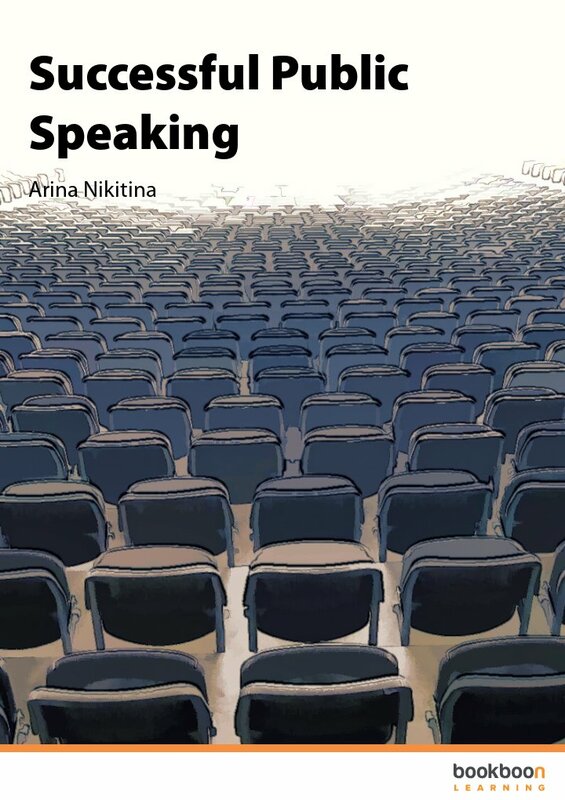 While both classic and current academic research in public speaking guide this book, the authors believe that a new textbook in public speaking should first, and foremost, be a practical book that helps students prepare and deliver a variety of different types of speeches — and that is the primary goal of this book. With practicality in mind, the authors developed, Stand up, Speak out: The Practice and Ethics of Public Speaking, as a streamlined public speaking textbook. Many public speaking textbooks today contain over twenty different chapters, which is often impossible to cover in a ten-week quarter or a sixteen-week semester; this textbook is eighteen unique chapters. The fifteen chapters are divided into four clear units of information: introduction to public speaking, speech preparation, speech creation, and speech presentation. In addition to practicality, this text has a focus on the ethics of public speaking from both a source’s and a receiver’s point of view. In 2006 Pearson, Child, Mattern, and Kahl examined the state of ethics in public speaking textbooks. Specifically, the researchers used the NCA Credo on Ethical Communication to guide their study of ethics in public speaking textbooks. Ultimately, the researchers focused on eight specific categories of public speaking ethics content areas: freedom of speech, honesty, plagiarism, ethical listening, ethical research, hate words, diversity, and codes of ethics. As a whole, the top ten public speaking books varied in their degrees of exposure to the various ethical issues. You just viewed Stand up, Speak - The Practice and.... Please take a moment to rate this material. If you know the author of Stand up, Speak - The Practice and Ethics of Public Speaking, please help us out by filling out the form below and clicking Send.